Actually I'm making pretty quick progress on my Slow project! It took me about a week to do all of the running stitching on all eight panels of my corset. I've been putting in 6-8+ hours every day on this because I'm so fired up over it. 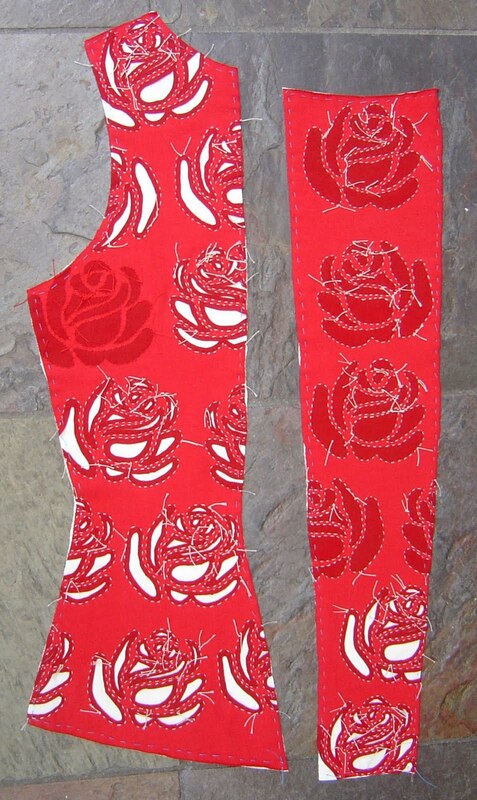 I'm thinking that I'll leave the red-stitched rose un-snipped. Not yet decided. I love how it looks from the inside when held up to the light. I took this photo with the tri-pod and timer, just for fun. I spend so much of my time at this desk (ignoring the mending pile on the chair beside me, hehehe) and have pretty much no pictures of myself thus occupied. (David has just come over to see what I'm doing and commented that this is the view he has of me all the time. Um, yeah, that'd be right!) Headphones in, listening to David Gray, engrossed in what I'm doing. 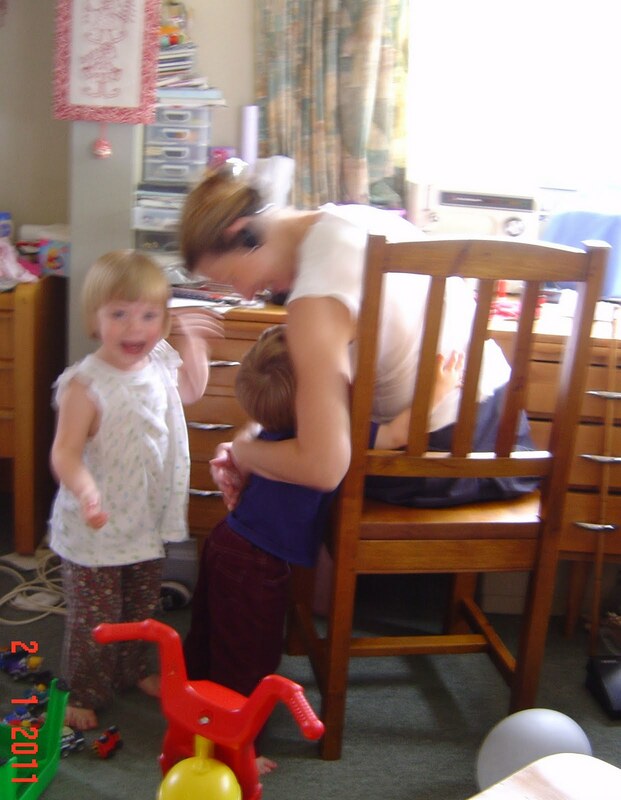 The few photos in which I feature are family ones - when I'm old (and when I'm gone) this sort of thing will show my children and grandchildren what (besides them) I'm passionate about. Oh, and so will this - I'm often interrupted for this sort of thing. 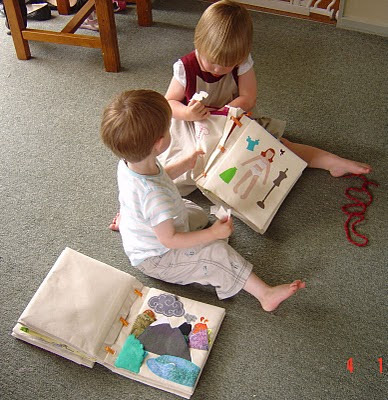 One last shot of the twins with their books - each open to their favourite pages. It is incredibly gratifying to see how much they love them. Nicholas will ask for his "book!" (he's a man of very few words) and hug it to himself as he wanders off to play with it. This 'create your own fabric' project is astonishing. I love the cut out effect. I also adore the children's rag books. Fabulous way to use up scraps. Hmm, you wouldn't want any twin interruptions while cutting out. It's looking so cool. Will it be reversible? Well, I'm impressed at your dedication to a single project. It will be amazing when it's done. I'm glad the twins love their books. It's a sign both of clever book design and healthy attention spans. And what machine do you have? Mine is a Kenmore of unknown age, but it looks identical to yours. What wonderful pictures! They warm my heart, seriously! Your kids are so adorable with their books! Love the roses top o far. 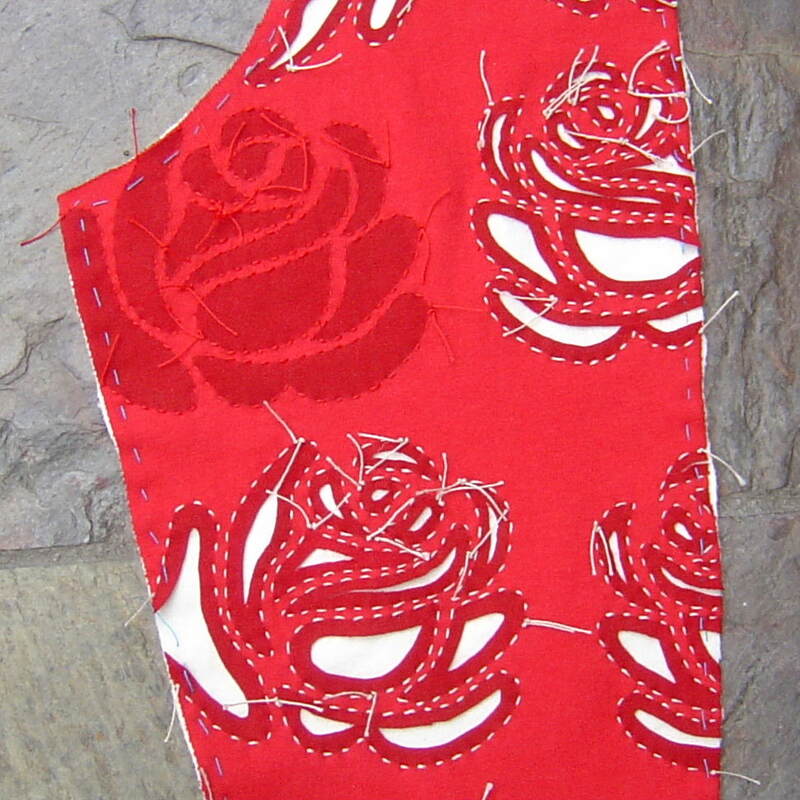 Someone pointed me to your blog because I just finished an appliqued shirt inspired by the Alabama Studio Style book. 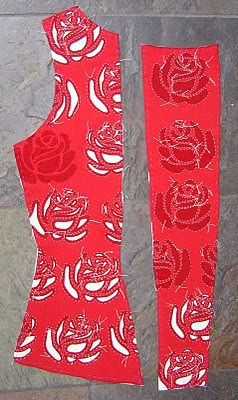 I love how your roses look and can't wait to see the finished top. I know I'll have to wait, because the time it takes is all part of the process. I enjoyed the hours of hand sewing on my shirt a lot more than I expected to, and I'll definitely try another of her projects. I love that you chose the corset - I looked at it in the book but couldn't make up my mind. Your toile fit beautifully.